First media guest announced for Phoenix Comicon, plus a few changes. Our first Phoenix Comicon news of the new year didn’t take that long to surface! Summer Glau (Firefly, Arrow, a ton more) will be spending some time at Phoenix Comicon this year. I know a lot of fans of Firefly are excited already. I also figured this would be a good time to revisit some of the changes in store for the convention. These changes were announced at the Phoenix Comicon 2015 Preview Panel at Fan Fest last month. Registration will be moved again, this time to Ballroom 120. Last year, registration was moved into the south building and despite all the signs, attendees were still confused on where to pick up their badge. Ballroom 120 is the main ballroom that held all the big media guest panels. Where is all that going? Well, to the 3rd floor of the west building! Apparently, their is a room larger than ballroom 120 on that side of the convention center that will house all the big panels this year. Also on the 3rd floor (of the north building), you’ll find all the costuming groups such as the Arizona Avengers and the Dune Sea Garrison. A huge crowd causer, the photo ops and autographs will also be moved to the same location on the 3rd floor. What’s cool is that the skywalk bridge between the north and west buildings will finally be utilized. 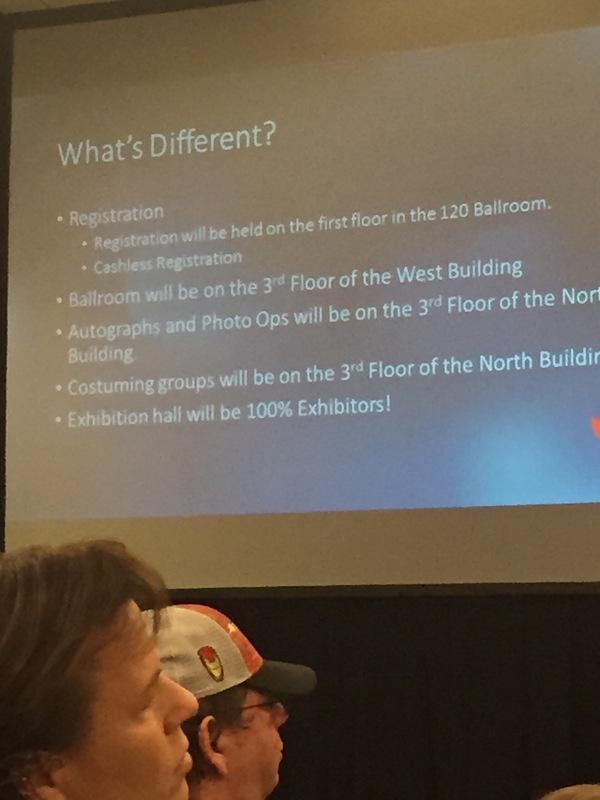 The exhibit floor will be 100% exhibitors this year, that’s the reason for the move of the costuming groups and photo ops/autographs.